John Bogle died on 16th Jan 2019 at age 89. He was known as “Saint Jack” for his lifelong fight to lower the cost of pooled investing. He advocated that low-cost index fund beats most active fund managers’ performance. Well after decades of history, he was proven right since the beginning! An index fund has no stock-picking tricks. It merely tracks the general market. If Malaysia population is growing, and the economy is doing well, and GDP rises, you shall see that businesses, in general, shall do better in the next decades! When you believe in that, an index fund will give you the result as foreseen. Let’s imagine that all the businesses are owned directly by investors like you and me. There is no intermediary, no friction, no cost. A rising tide lifts all boats. We will get the gain riding on the boats no matter what. Well, in reality, we have intermediaries. And they form a huge industry!! Fund managers get their recurring management fee while investors take all the risk. Theoretically, average fund managers will likely match the market average performance. But they trail after charging fees! That’s the war John Bogle had fought his entire life — to reduce the loss on costs paid to the middleman. For that, I salute him, and he earned my utmost respect. Bogle’s Vanguard Group launched First Index Investment Trust back in 1976, even before I was born. The fund, now Vanguard 500 Index produced a compounded growth rate of 10.96% per annum since inception dated 31 Aug 1976. Its expense ratio is only 0.14% compared to the average 0.95% of similar funds. What’s 12b-1? It is an annual marketing or distribution fee on a mutual fund. The 12b-1 fee is considered to be an operational expense and, as such, is included in a fund’s expense ratio. In layman term, the Vanguard 500 Index fund charge zero purchase fee, zero redemption fee, zero 12b-1. And the only cost is 0.14% each year. Compared it to the funds you know in Malaysia. Most charge 1.0-1.5% of recurring management fees. 10x… OUCH!! Furthermore, we also need to pay 1-6% of upfront service fee. “We have the miracle of compounding returns overwhelmed by the tyranny of compounding costs” Bogle once said. You don’t feel much when it is just 1%. But 1% over a long time and 1% over and over again for many years, will sum up a lot after decades of compounding effect. Bogle also reasoned that the cost distorts investment decision-making. Fund managers know that they will trail the market due to the burden of cost. So to make up for it, they have to take a higher risk with investors’ money. As a result, some managers chase over short-term gain. When one has great numbers to show, it is time to brag. Fund houses often advertise the magnificent performance for a few short years to attract more inflows of investors’ capital. Who doesn’t love more money, especially when it is fast? The phenomenon goes on to affect public-listed companies’ CEO too. Bogle argued that some corporate leaders make short-sighted business decisions to please fund managers who demand quick returns. Sometimes, those business directions might not be the best for the company’s long-term prospect. I am glad that Saint Jack has won the war. There are more funds now that has zero fees in the developed world. However, when will it come to Malaysia? Or, how do we go to them? « Previous Post Definition of 36 Critical Illnesses or Dread Diseases in Insurance Policy Next Post » I Lost RM 20+k in Unit Trust. What Should I do? 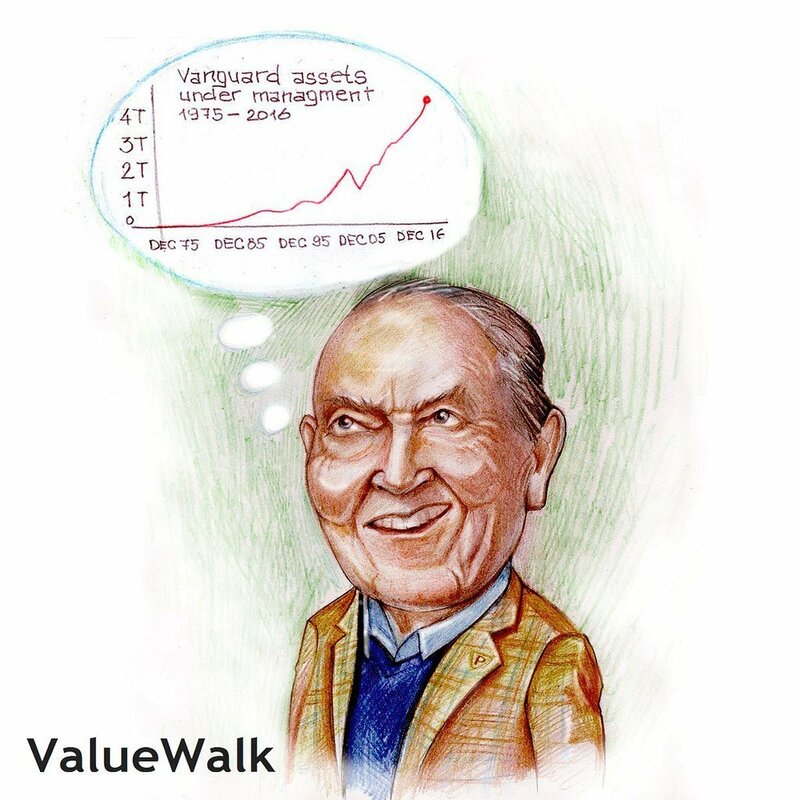 2 replies to "John Bogle and The Evolution of Low-Cost Investing"
Hi, I agreed and send port for the low cost investing. In fact, we are trade online ourself without the needs of Remisier hence still paid 1-1.5% of charge.